Tell us about your role and how you got here. What inspired you to be part of the programmatic industry? I started in a mobile ad network to drive their first programmatic offering. 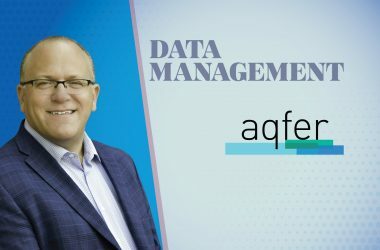 I was fascinated by the technological exploits around data and measurement, and the early promise of reaching the right audience, at the right time, in the right place. I quickly moved to MediaMath — already pioneering the way — and I have never left! As the mobile channel lead for MediaMath, I’m working with both our product and sales teams to build a strong mobile offering that is aligned with client expectations and market evolution, as well as helping advertisers reach their business outcomes. As a woman in tech-heavy ecosystem, what message would you give to other women, especially in the Marketing and Sales functions? Ask for what you need to do your job — from coworkers, from teams, or from your boss. Stand up for yourself and for your team. Don’t let anyone cut you off — your voice is as important as anyone else’s. Don’t underestimate your ability ever. Be bold. Align yourself with strong women who will mentor and guide you. I have had a few mentors at MediaMath who have been instrumental to my growth. How is your role at MediaMath different from the one you had when you joined the company? How did you prepare for the disruptive tech industry? Mobile has been evolving so drastically, and MediaMath itself so fast, that my role has changed tremendously. From sales to product, from marketing to partnerships, it is like owning a little business within the business. You can’t really prepare for disruption; you must learn to embrace and manage chaos. You have to be really agile in the way you operate and simply move forward, assembling every piece of the puzzle one by one — keeping in mind the big picture you have for driving the business foward. What trends are you seeing in mobile programmatic right now? 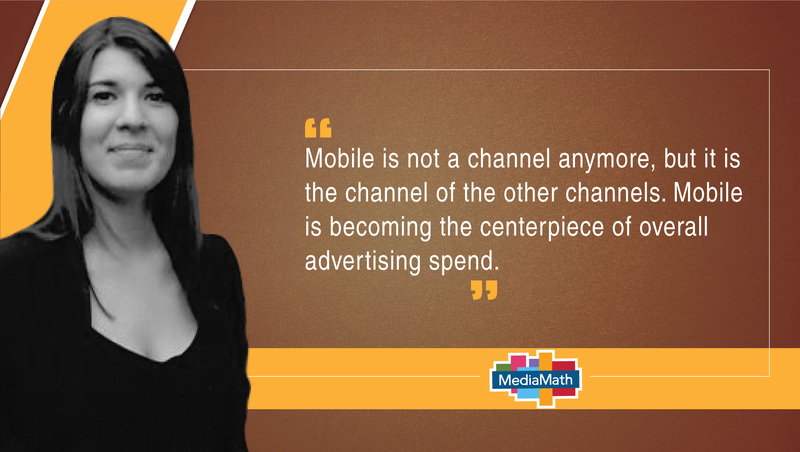 Mobile is not a channel anymore, but it is the channel of the other channels. Mobile is becoming the centerpiece of overall advertising spend, not only to reach where consumers are, but to build the bridge between online and offline (DOOH, TV, audio, desktop, mobile). What’s the biggest misconception in the market today? Would you like to clear the air around this confusion? The first misconception is that mobile should be treated separately. The mobile bubble that exists today is the fruit of technological limitation between web and app that has split the industry’s DNA in half. Technology has evolved, measurement has aligned, identity is merging to enable advertisers to cut silos and execute on their audience-centric vision. There will always be some progress to make, but the “how” can’t dictate the “what.” No advertiser that owns an app and a website should operate in silos. No advertiser that is mobile-first should use mobile-only solutions. The second misconception is around attribution fraud, the biggest plague persisting in the opaque mobile bubble. A belief persists that down-line KPI optimization is the key to driving real performance. It is great start, and every mobile marketer should be optimizing towards long-term value rather than short proxy. But you have to ask yourself the right question: Is my UA advertising activity actually generating incremental new users for my business? Attribution fraud is like owning a bank and paying the doorman $100 every time he opens the door to let a new customer in. The visitor is real and the revenue he generates is also real, but should you give credit to the doorman? Truth is, you could stop paying the doorman and still see the same number of visitors and the same revenue generated at end of month. Ask for transparency, don’t let any partner grade their own homework, and make incrementality the north star for your advertising investment. 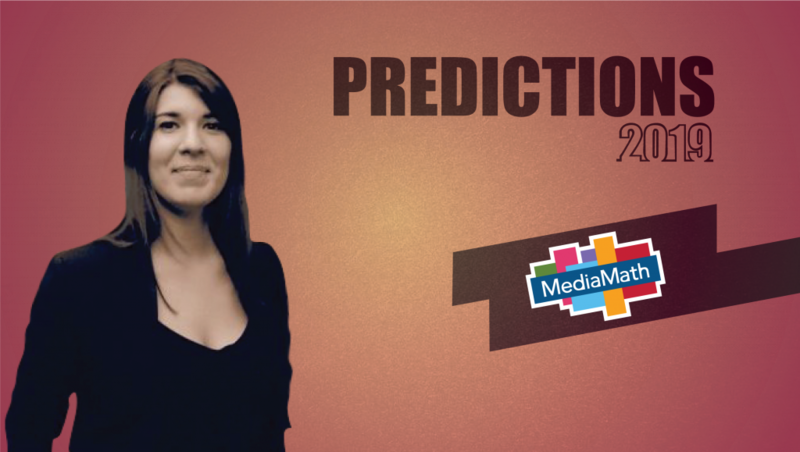 Which trends in the Programmatic Advertising do you foresee in 2019? In 2019, mobile will make substantial gains in performance and investment as we progress towards a stronger cross-device identity graph. Marketers generating revenue from both desktop and mobile apps will consolidate their media buying under one platform, aligning on KPIs, measurement and their tech stack. As we move into the new year, mobile app ad networks will move from direct to programmatic as mobile marketers seek more transparency and control. Mobile-first marketers will take control over their media buying, measurement and incrementality to fight against attribution fraud. I’m also attentively looking at the evolution of voice control, within cars specifically, but whatever “device” the technology will end up suiting best. I find the Amazon-Google battle really intriguing for the future of search and I think CPGs are at the center of it. To what extent could technologies like AI/Machine Learning, geolocation and blockchain data impact AdTech? The possibilities are endless. Emerging technologies are amazing, but when leveraged properly, the potential to improve the mobile and AdTech industry is exponential. AI and Machine Learning are not new, but as the computing power for mobile devices increases, we can expect AI to become integrated into all user experiences. It is increasingly being used to anticipate predictive consumer actions instead of focusing on past behaviors. For instance, with AI infused into media buying, marketers can estimate the probability that a consumer will respond to an ad to determine how much to bid for an opportunity. We expect a large consolidation of location data providers — they’ll partner with DSPs, TV and DOOH solutions to win market share. Location data improvement will be on quality of signals, as the stakes for accuracy become high with attribution and we dig into the correlation between visits and sales. From a vertical perspective, location attribution will become especially interesting for CPGs, which don’t always have access to sales data, and for retailers as an additional down-funnel KPI for them to drive users to in-store purchase. Blockchain has enormous compelling, real-world uses for the AdTech industry, such as enforcing rules between buyers and sellers. Blockchain will help guarantee that they’re talking to who they think they’re talking to, and buying what they think they’re buying, and can revolutionize the supply chain by offering a trusted, common version of truth. The idea of providing a final, immutable record has strong appeal for advertising, as the conversation of transparency has continued to play a role in the industry, especially for mobile marketers. What’s one piece of advice you would give to mobile marketers? It is hard for mobile marketers to define the good and the bad actors in an opaque market such as the app ecosystem one. To cut through the clutter, they must take more control over their advertising spend, disrupt their media buying model and lead the way towards new standards in the mobile industry. How should marketers be thinking about mobile in the context of omnichannel campaigns? I think the value of mobile within omnichannel outcomes is a well-understood concept across advertisers and ad tech in general. And we see advertising spend getting closer to device usage. But unfortunately, the “how” is still limiting the “what,” mobile advertising spend is still limited by identity and will not fill the gap until the industry finds common ground to quantify real mobile ROI. User identity is being fragmented between desktop cookies, mobile cookies and device IDs, which makes it hard for advertisers to have a holistic view of customers and execute on a real omnichannel strategy. It is still a challenge to offer both accuracy and scale. It’s crucial for marketers and advertisers to be prepared with knowledge about cross-device, multitouch and incrementality measurement, and understand the impact of mobile on their omnichannel outcomes. In 2019, marketers need to be thinking about mobile measurement, a multi-touch attribution model and incrementality. Mobile is a key point on your users’ road to conversion, but it is not necessarily the last signpost they hit. Marketers need to be equipped with a KPI and measurement toolbox that can help them and their partners keep each other honest regarding the added value they are driving through their advertising. There are steps marketers should take to shift the business mindset on attribution and justify the ROI against the investment in cost, time and expertise in 2019. How can marketers move towards becoming mobile-first in 2019? The first question will be how much mobile represents in advertisers’ customer journey. What are the key points of interactions between users and advertising and how can a brand impact them? Chances are those happen in mobile, or mobile influences them. For a marketer, it means ensuring that you are leveraging all mobile signals to understand your user better, your tech stack is mobile-friendly (omnichannel DMP, omnichannel measurement), your creative is adapted to the mobile user experience, the supply you access is covering the full mobile ecosystem (web AND app), you leverage location to personalize your message… and that all of this is coherent with your omnichannel strategy. How do you prepare for an AI-centric world as a MarTech executive? AI holds great promise for making marketing more intelligent, efficient, consumer-friendly, and ultimately, more effective. 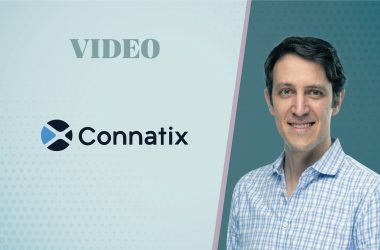 More pointedly, AI will soon move from being a “nice-to-have” capability to a “have-to-have.” AI is a requirement for making sense of the vast array of data — both structured and unstructured — being generated from an explosion of digital touchpoints to extract insights at incredible speeds, to deliver the personalized service consumers demand. There are a few key areas of consideration to help you start leveraging AI for marketing, such as affirming your consumer data policies and making your data actionable. Additionally, it’s critical to select a partner that utilizes true AI versus rules-based decision. Without AI, it’s impossible to scale for the volume of data that marketers are managing today. Leading the next phase of mobile product evolution, Floriana brings deep programmatic adverting expertise and a clear point of view on the direction of mobile marketing. With over four years of mobile business development, product innovation, product marketing and client solutions, Floriana has a deep understanding of the mobile media landscape, technologies and marketer challenges. MediaMath helps leading global marketers deliver personalized digital advertising across all connected touchpoints. Over 9,500 marketers in 42 countries use our enterprise software every day to launch, analyze and optimize their digital advertising campaigns across display, native, mobile, video, audio, social, digital out of home and Advanced TV formats. Founded in 2007 as a pioneer in “programmatic” advertising, MediaMath was recognized by Gartner in 2018 as a Leader in the Magic Quadrant for Ad Tech. MediaMath has offices in 16 cities worldwide and is headquartered in New York City.